← Webber Photo Cards: What Are They Thinking? 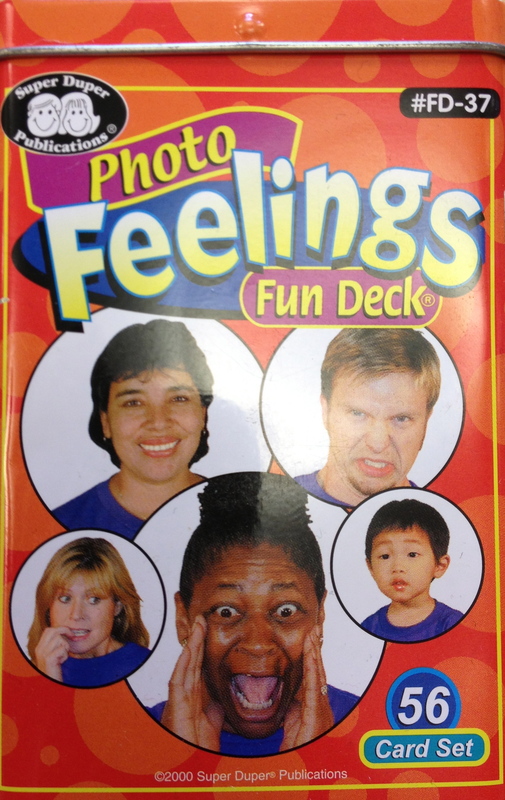 This feeling-filled, multicultural deck has 28 pairs of high quality cards demonstrating seven basic emotions (four different pairs each for happy, sad, surprised, scared, thoughtful, tired and angry). In addition, since the cards have no words on them, you can use them to show a wide range of emotions. (For example, a “happy” card could also be “glad,” “good,” “cheerful,” “joyful,” etc., card). This entry was posted in Learning Aids, Our Library and tagged Autism Spectrum Disorder, Learning Aids. Bookmark the permalink.